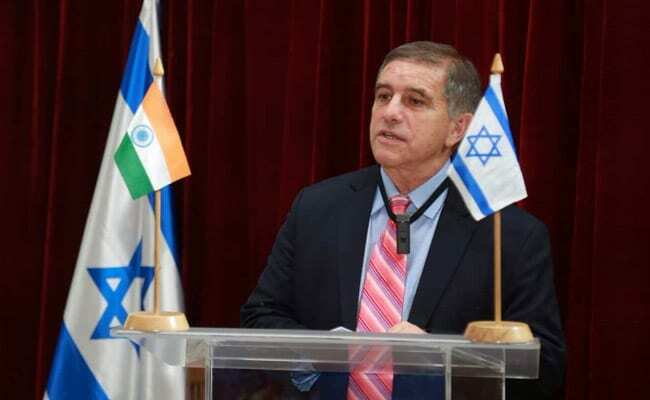 Israel's Ambassador to India, Daniel Carmon said joint efforts by victims of terrorism were the main instrument to combat terror. New Delhi: Bringing perpetrators of terror to justice is the "basic ingredient" in fighting terrorism, Israeli envoy Daniel Carmon said today in the wake of the release of 26/11 mastermind Hafiz Saeed by Pakistan. He said joint efforts by victims of terrorism were the main instrument to combat terror. "Bringing the perpetrators of terrorism to justice is a very basic ingredient in fighting terror," the envoy said. JuD chief Hafiz Saeed walked free after a Pakistani court ordered his release from house arrest late last month. The development is seen as a setback to India's efforts to bring to justice the perpetrators of the 2008 Mumbai terror attack. Israelis too were victims of the terror attack. Rabbi Gavriel Holtzberg and his wife Rebbetzin Rivka Holtzberg were killed in the attack at the Nariman House, which was home to a Chabad house, a Jewish outreach centre and a synagogue. When asked whether Israel, like the United States, would demand re-arrest of Saeed, Mr Carmon said, "The main instrument of fighting terrorism is unity of those and joint efforts of those, who on one hand, are victims of terrorism, but also have decided to join hands in confronting it (terror). We are into it together". When asked about the likely visit of Israeli Prime Minister Benjamin to India early next year, the envoy evaded a clear reply. It is "natural" that after the "successful" visit of Prime Minister Narendra Modi to Israel in July, a visit would be reciprocated by Mr Netanyahu, Mr Carmon said. "I am not going into the details of the expected visit of (Netanyahu). Let us wait for an official announcement," he added.